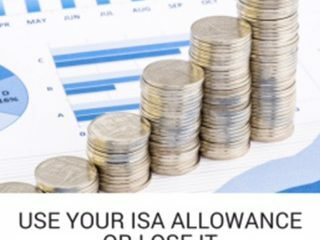 Use your ISA allowance before times up! LeeP tip#21: if you don’t use up this years ISA allowance of £15,240 by the 5th April then you lose it! If you have spare funds then make sure you invest it into a tax free ISA. From 6th April 2017 your ISA allowance increases to £20,000. Annual Returns are No More! Here’s a quick way to Add, multiply or Subtract using Excel – you can use the “Autosum” button on the tool bar then hover your cursor over the cell bottom right until it becomes a black cross-hair; drag down or across in order to repeat the same action for other cells!